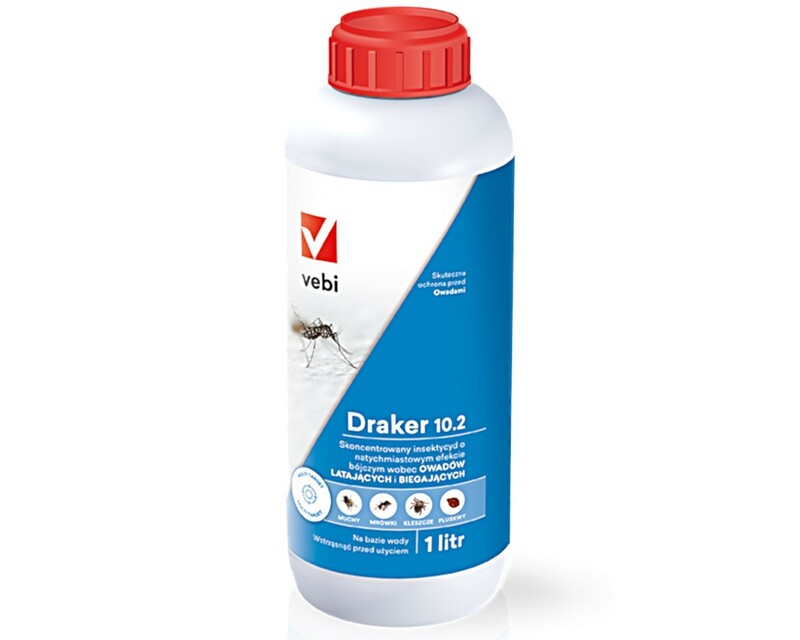 DRAKER 10.2 is designed to eliminate flying and crawling insects in the form of concentrated microcapsules emulsion for spraying. Directions for use: apply products with sprinklers. Preparation can be used outside, making a barrier around the buildings, windows, on window sills, cornices, in garbage disposal. Inside buildings, Draker 10.2 can be applied at skirting around the room, in the corners, in the nooks and crevices. One can also spray garbage disposals, places of accumulation of insects and places where flying insects sit. The product can be also used as the protection against insects in kitchens, especially in nooks around ovens and refrigerators, as well as in boots.